Starting my second year here. Nice gated community. Shopping is convenient and close by. They have upgraded packaging service that makes it fast and easy to get! Thank you Brenna for the review. We are glad to hear that your are enjoying the new package system. I love it here. So peaceful. There’s not a lot of noise. The office staff is VERY FRIENDLY. They are always willing to help. Being able to receive my packages after hours is a plus as well. The parcel boxes are great. Thank you for the positive review, Sonya. We are thrilled to hear that the parcel lockers are a hit. VASC is a beautiful community. My move was easy. I did everything online and did not see the apartment until the day I picked up my keys. And I loved it. Gabby was my leasing agent and she was very helpful, professional, nice, and very patient with me and my busy schedule. Hi Pamela. Welcome Home! Thanks or the shout out to Gabby. We think Gabby is pretty great too. Love the area. Next to the town center. Close access to the highways. Schools are very close to walk the kids everyday. Not far from downtown. Shawn, We agree the location is awesome! Thank you for your review. I love the location and the easy access to everything. It's quiet and I never have a problem with parking, that's a plus when living in a huge complex. Overall, it's been an enjoyable experience. Welcome Nashay! We are thrilled you picked The Villas at Shadow Creek to call home. I’ve lived at the Villas around 6 months now, and I love it. The front office staff is always very friendly . My maintenance requests have always been taken care of in a timely manner. Great location, close to restaurants and Town Center. Clara, this is fabulous news! We love hearing from happy residents. Thank you for making our day. Welcome Home! We are thrilled you chose us. I love living in this community, the staff is always polite and helpful. Maintenance will fix any problem and a day tops. It’s a great clean environment. Thank you for your review. Our team aims to please. It is great to hear that they are doing a good job. We love referrals from our residents . Thank you so much. 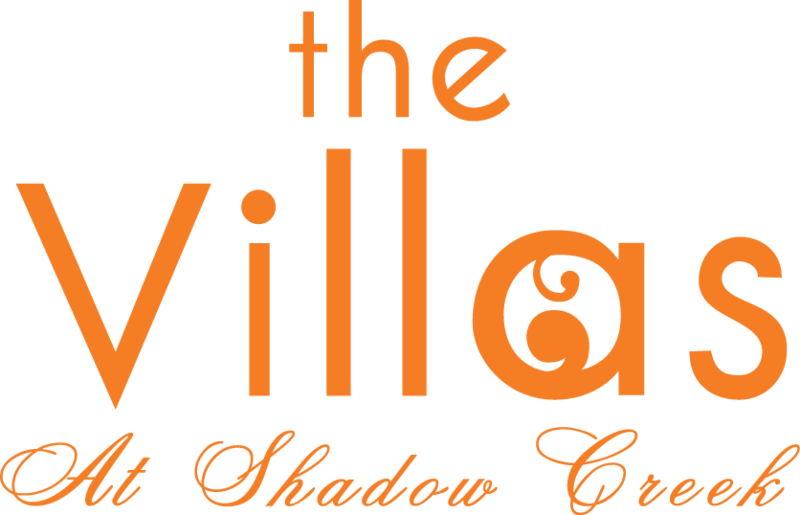 We are thrilled you chose The Villas at Shadow Creek to be your new home. Thank you for the great review Snethia. We are thrilled to hear that you have no complaints. Also, it is always wonderful to hear how quiet and peaceful the community is. Welcome home Corbin! We are thrilled to have you as a resident. Let us know if there is anything we can do for you. Thelma, we are thrilled to have you as a resident and are pleased that you are enjoying your stay. I have really loved the layout of my apartment. It has lot of room and storage for the money. Overall, I feel the Villas at Shadow Creek has a really good price point. Hi Cassandra! We are elated to hear that you are comfortable in your apartment. Please us know if we can do anything for you. Hi Aimee! Sorry to hear that the gates are responding slow to your remote. I will look into improving that for you. Please let us now if there is anything else we can do for you. Always quiet, access to garage parking is safe and convenient. Trash service is offered, the property is grounds are clean. The staff is always; professional and helpful in with repairs, or any issues regarding the property grounds. Hi Tammy! We are delighted to hear that the community is always quiet. Also, thank you for review of our staff. They work hard to serve all of our residents. I’ve been here for years! I love it! The staff is great and their response time to issues are fast. The location of the property is perfect. Jason, we hope you continue to live here for many more. The Villas at Shadow Creek wouldn't be the same without you. This complex is nice and quiet. Large green areas for dogs but sometimes residents don’t pick up their dogs business. Maintenance team is quick and good on response. Adrian, we are elated that you enjoy living here. Thank you for the compliment to our maintenance team. They work hard to take care of our residents. Hi Renee! We are ecstatic to hear that you don't have any complaints. We are overjoyed that you are our resident. I’ve reside at The Viillas since 2015. The number one perk for me is the location of my child’s middle school Nolan Ryan. The maintenance management are Heaven sent! They are thorough of any residential need and respectful of your environment upon entering. I’m not really supportive of the new parcel routine. Probably because I’ve been spoiled the last four years lol! The monthly residential events are wonderful! Hi Dyonne! Thank you for your honest opinion. I hope you change your mind about the new parcel system once it is up and running. It should be even more convenient for you to receive your packages since it is available 24 hours. We moved here recently and so far so good. We haven't had any issues and we love the area. Everything is close and accessible. Parking is not bad and more than anything, we love the dog park and the green areas. We are pleased that you are enjoying it here. Make sure you check out the dog spa for your four legged baby too. We love living here! We have a great amount of space, its quiet, and we enjoy the amenities. We have a great amount of space and all of the other residents are very friendly. Heather, we are super happy to hear that you are enjoying it here and are taking advantage of the amenities provided. BTW- we agree our residents are pretty great! I loved the apartment complex and office members are always friendly and helpful. Maintenance is always on point and always there when needed. Pet friendly is a big plus for me. Thank you so much for the shout out to our team. They work hard to make The Villas at Shadow Creek a great place to live. I’ve lived here for a few years, and the property is well taken care of, issues are resolved in a reasonable time, and it’s conveniently located. We are ecstatic that you enjoy living here, and hope you continue living here for many more years. Thank you for the 5 star review. I've been here 1wk and as of now, so far so good. Amber was very helpful and knowledgeable of the property. The tour that she gave of the property was very nice. Welcome Letha! We are so excited you chose The Villas at Shadow Creek to be your new home. Great! My girlfriend and I just moved in and the whole experience has just been wonderful. Everyone was very helpful and there have been no problems sine we moved in! Ezra, thank you both for choosing The Villas at Shadow Creek to be your new home. Let us know if you need anything.